If you want to embark on an overseas scuba diving archives holiday, perhaps your first scuba trip, there are two ways to do it. You can stay at a seaside resort where there is a base of scuba operations, or you can take a “liveaboard” vacation, staying on board a ship devoted to the purpose. For the more usual land-based holiday, most countries will have diving centres in a range of locations, some close to larger towns and cities where you can also take time off from your diving to enjoy the local tourist attractions or nightlife. Others are much more remote, where you can concentrate on your pastime without distraction. A land based scuba holiday may be most suitable for beginners to the sport. A liveaboard holiday, on the other hand, is the most intensive way to go about it. You are permanently on site for diving, and can take your dives throughout the day, with the first one as early in the morning as you like, taking full advantage of the opportunities before he tropical day heats up, in unspoilt peace far from holidaymakers. A ship can take you much further away from civilization than you would otherwise be able to go, showing you places most ordinary scuba divers would not be able to reach. There are many such scuba diving cruises available, providing a combination of first class diving, along with superb accommodation and luxurious comfort – and all meals and drinks – all within yards of the dive site. The ships will carry experienced instructors and guides, and will be able to provide PADI and other courses. Ships run by one of the larger diving companies will probably have some of the latest diving equipment available. Whichever method you choose, the basic preparations are the same. Above all you must ensure you have all the required certificates and documents that will be required before you pay for a diving holiday. Qualified divers must bring proof of their qualifications and their log book. 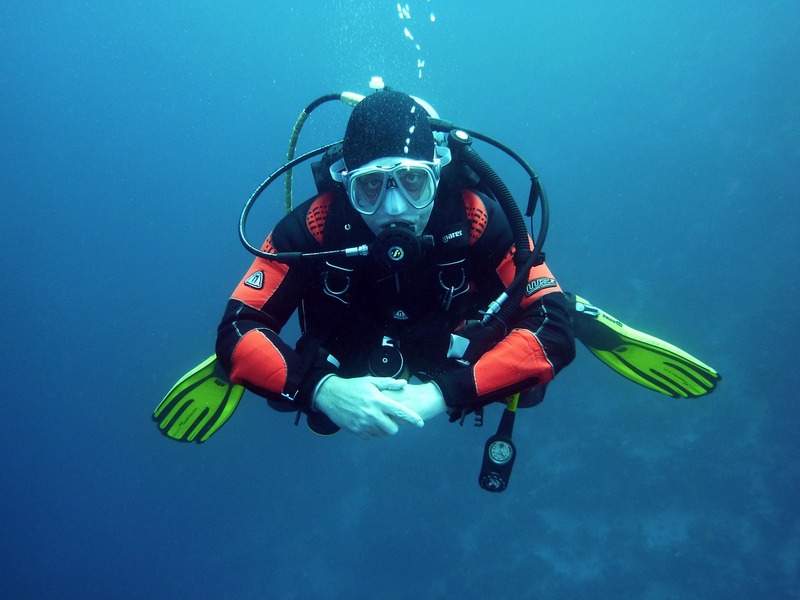 All divers must be medically fit to take part in the sport, and some countries require a medical certificate before you will be allowed to take training or professional assistance. Even if that is not the case where you are going, check out the health requirements and seek medical advice if in doubt. Remember also to take out travel insurance that specifically covers scuba diving. Even so, the standard travel policy may only cover you to a certain depth so check that will be enough; if not, a specialist insurance may be necessary. Learners should undertake some pool training at home before flying off to increase your experience at your holiday location. Arrange your further training or guidance before you go, especially during your destination’s peak times, to be sure of obtaining a place and not being disappointed. You must also choose the diving company with care, making sure to select one with a good reputation both within the industry and among past users. A scuba diving holiday provides a world of excitement in underwater caves, discovering sunken ships, treasures and the ever beautiful coral reefs that abound in so many different parts of the world. Prepare well, and enjoy a holiday you will remember for the rest of your life! Jeffrey Glenn is the founder Go Pro Asia, of one of Thailand’s most sort after professional dive training resorts. Jeffrey is a PADI Course Director and Technical Diving Instructor Trainer with over 20 years’ experience in the dive industry. This entry was posted in Other and tagged dive, diving, diving blogs, diving holidays, scuba, Scuba Diving, scuba diving requiements, scuba diving training, scuba instruction, scuba trip, sports and adventure, sports and travel, Sports Archives, Sports Blogs, water sports. Bookmark the permalink.